Taken from Never Not Knitting Patterns: "When spring arrives, a perennial plant once dormant, will grow and bloom once again. 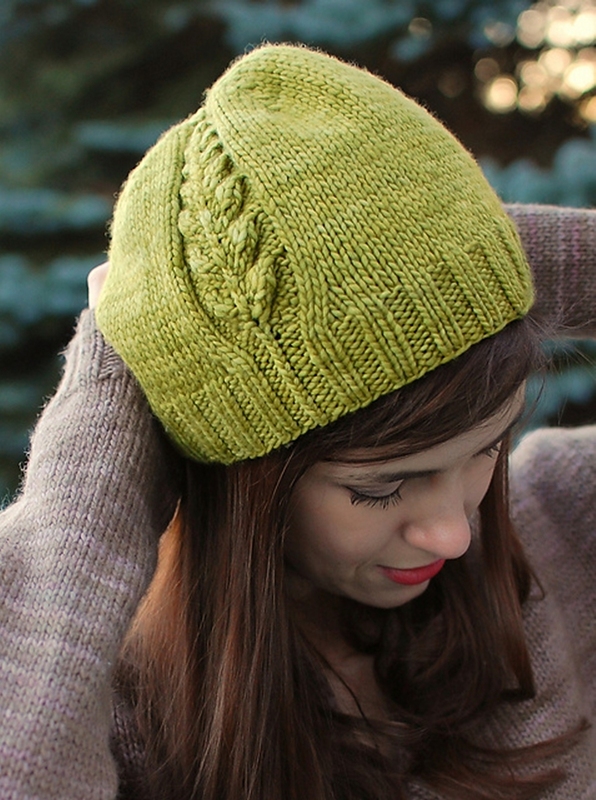 This new Perennial hat pattern captures the beauty of new spring growth with a sprouting plant motif growing up one side." This pattern is from Never Not Knitting Patterns - Perennial. Size US 7 & 8 - 16" circular and a US 8 set of double point needles (or size needed to obtain gauge), a cable needle, and a tapestry needle are required but not included. Finished Measurements: Fits 19-23" head circumference after blocking. Gauge: 18 sts & 24 rows over 4". Yarn used in pattern is a single ply Dream in Color yarn we don't carry. 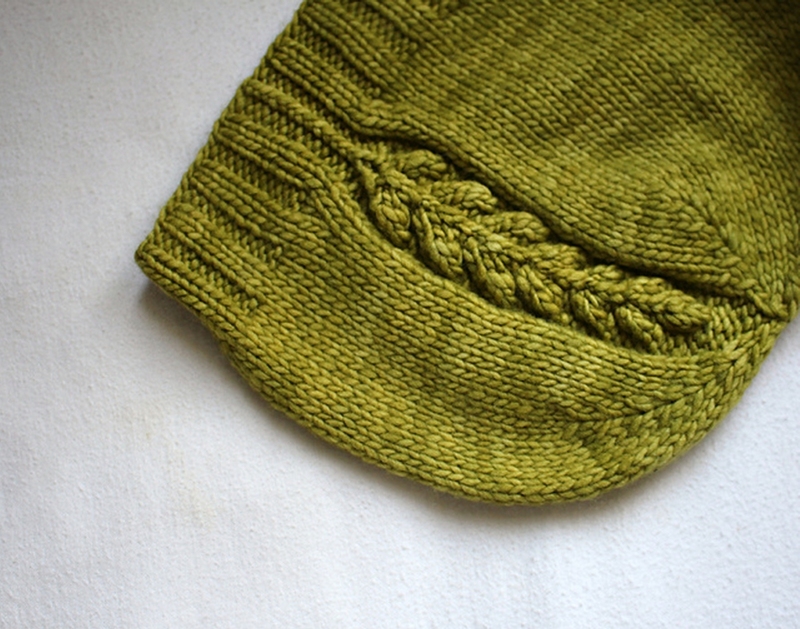 We've suggested Malabrigo Worsted Merino and the closest color is #037 Lettuce.